ISE News Feed Subscribe to the department's news feed by emailing industrialsystems-dept@sjsu.edu "subscribe to ISE news feed" in the subject of the email and note whether you are a graduate, undergraduate, alumnus, or engineering management major. For those of you who have been unsuccessful in being added to the mailing list (perhaps due to some issue about a previous unsubscription), please email us so we can fix the issue. Daniel Rosenberg is currently a UX consultant (rCDOUX.com) and an adjunct professor of HCI at San Jose State University. He serves on the advisory board of the Interaction Design Foundation and edits the “Business of UX” Forum in ACM Interactions magazine. Early in his career he introduced many UX methods and inventions that are now common practice. At Eastman Kodak he assembled the HF department’s first rapid prototyping lab, taught many workshops on this topic and coauthored the Prototyping chapter in the first Handbook of HCI (Elsevier 1988). At a CHI 1988 special session he introduced the UX community to the concept of GUI look & feel as an integral part of corporate branding. During this period, he also coauthored (with W. Cushman) Human Factors in Product Design (Elsevier 1991), the first consumer product focused HF textbook. As User Interface Architect for Ashton-Tate & Borland, Dan designed the first GUI Integrated Development Environment, defining the workspace style UX for programming tools. He invented Tabs as a UI mechanism along with several other innovative UI patterns while at Borland. He also designed the first GUI administration UX for Oracle, again creating a pattern still commonly used today. 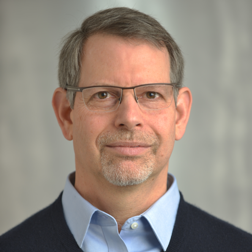 Dan’s contribution to UX management practice building large corporate UX departments began when he was hired in 1994 to establish the first UX team at Oracle, growing to more than 120 people during his 11-year leadership tenure. He was also the UX SVP at SAP for seven years. During this 18-year period he conducted UX management workshops and served on numerous conference panels. He also published many UX leadership articles, the most controversial of which was “The 7 myths of Usability ROI” (Interactions, Sept. 2004).